August 20, 2015 - by benign0 - 15 Comments. It’s really pathetic the way presidential candidate Mar Roxas scrounges around for some sucker willing to run as Vice President with him under the Liberal Party (LP) banner. Indeed, it’s the height of pathos that he’d actually issue such a proposal to Senator Grace Poe, who currently tops popularity polls and will likely beat Roxas if she decides to run for president herself. You gotta pity the Liberal Party. They are, to be fair, saddled with a debt of gratitude to Mar Roxas who, in 2009, would have been their presidential candidate had Benigno Simeon ‘BS’ Aquino III not demoted him to a vice presidential candidacy. Back then, Roxas (who had a track record only as a legislator) would have had a chance. As a legislator then, Roxas had no track record of administrative or executive performance that could be subject to public scrutiny yet. Without that experience, the incompetence he would go on to exhibit to the world as a Cabinet secretary from 2010 to the present did not exist yet. It’s payback time. And so here we are seeing the LP sheepishly putting the unwinnable Roxas forward as their presidentiable. What a big cringe and an even bigger tragedy for the venerable Liberal Party of the Philippines. Things are vastly different today for Roxas. After a spate of lame and misguided publicity stunts, embarrassing gaffes showcased by his wife Korina Sanchez, his fatal botching of disaster preparation in the lead up to the Haiyan disaster of 2013, the appalling incompetence in the response and relief management that he oversaw in its aftermath, and, recently, the outrage in the way he spinelessly dropped the ball in the midst of the fallout following the cold-blooded massacre of 44 elite Filipino police officers in Mamasapano, we wonder what is it exactly that motivates Mar Roxas. Roxas has no saintly or heroic dead parents with which to milk the Filipino emo character, no personal brand to leverage in his pitch to the Filipino voter, no dancing or singing talent, no celebrity shine, no appeal to the youth, no good looks and no personality. For some semblance of a platform (which does not add much value to the be-all-end-all metric of winnability to begin with) he merely makes like a parrot and squawks his boss’s Daang Matuwid (“straight path”) platitude ad nauseum. We wonder then what value Mar Roxas really is to the Liberal Party. For that matter, what does he actually have to offer to anyone dumb enough to agree to run as his Vice President? The worst experience a team player could possibly go through is to be the goat of the game. When you fail to score that three-point shot your team worked hard to set you up for in the last 10 seconds of a game in which your opponent leads by two points, guess what, you become crowned the Goat for Life. It was bad enough Mar Roxas bent over and made himself President BS Aquino’s welcome mat into Malacanang in 2009. Now here he is setting himself up to be the Liberal Party’s goat. Even now, we can already see that fitting end to the political career of a man who reached for the stars but hit the ceiling of his doghouse before he could stretch his arms past his pointed head. In their desperation to keep out of jail once they lose political power in 2016, they keep wooing celebrities/other politicians that they think can let their goat or in this case, their Goat for life as Benign0 said in this article, win which at this point is only possible through cheating via PCOS machine. Some troll keeps accusing us of being pro this and pro that even though they keep losing track of what exactly they accuse us of. So c’mon Mar, do it! selfishly and just for the teleserye effect of it (if it didn’t mean seeing the country sink further down in the next six years) i would like to see the mar-noy scenario play out (roxas as pres., BS as VP) and then have BS win VP and Binay win Pres. watching binay exact his vengeance would be like watching game of thrones. Some people either are not aware of or ignore Peter Principle. For the sake of fulfilling an ambition, they’ll do whatever it takes to get it even if they are aware that they are not fully equipped and talented to get the job done. The presidency is not like a championship title that you can win one day and lose it the next because of a mistake then train to win it back. It is a title either you live with it or lose it forever. I hope all candidates will think about this and consider seriously the Peter Principle. Peter Principle is actually a euphemism for a dirty trick that companies use in trying to fire out an individual when they couldn’t find a legal basis to fire him. So, what they do is to promote him to higher position where they know same would perform very badly. As expected, he would perform badly, and realizing this, the individual may on his own resign. If he still does not resign, then the company has finally found a basis to fire him, and they will fire him out. Money and corruption are ruining the land, crooked politicians betray the working man, pocketing the profits and treating us like sheep, and we’re tired of hearing promises that we know they’ll never keep. We need more people speaking out. This country is not overrun with rebels and free thinkers. It’s overrun with sheep and conformists. Poor Mar, if only he didn’t bend over in 2010. What a way to end a political career. It is pathetic; that an aspirant for the Presidency; carries bags of onions, direct traffics, etc…to attract voters. The public seems not to be interested in his political stunts. Maybe, Mar Roxas could drop his pants, for photo opportunities. And, his wife , Korina Sanchez, could become a “Play Boy Magazine” centerfold. The guy is incompetent. He bungled the Typhoon Yolanda relief efforts. And, was insensitive to the families of the 44 Fallen Heroes of the Mamapasano massacre. 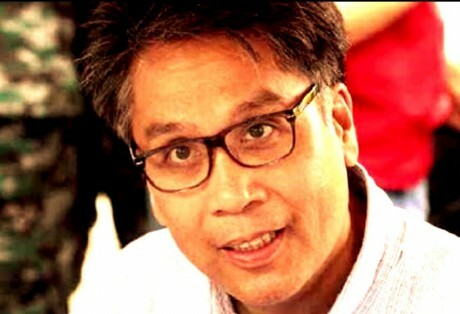 One day, PNoy endorses Mar. A week later, PNoy tells Luistro that he understands if Luistro does not go along with them in supporting Mar, and Luistro is Sec of Education. A day after that, PNoy also tells the same thing to other Cabinet Secretaries. Is PNoy leaving Mar to hang dry already this early? Things don’t add up, and I have been wondering if there is a deeper play going on. Or do we just take them at their face value and just conclude that PNoy is panicking and thus, is totally confused? And now that Enrile is out, it makes the life of Mar more complicated. LP wanted Enrile out of the picture for he is one of most astute political strategists, and so the Yellows are now screaming bloody hell on SC. But again, the yellows couldn’t blame anyone but themselves. Enrile just used plain commonsense. He only asked that his prosecutors give him a Bill of Particulars – meaning clarify exactly the crime he is being accused of committing, when and how he supposedly committed it, and what the evidence is to prove such a crime. If the crime is plunder resulting from the use of his pork barrel, it is a crime that requires a series of acts. Enrile wanted to know what those acts are – when and how those acts were committed, how much the amounts involved in each act are, and whom he dealt with in committing such acts. I am not a lawyer, but it looks like a request so reasonable, so commonsensical. So, why couldn’t deLima just submit this Bill of Particulars? And yet, we were made to believe that they had a solid case? Is this again one of the sloppy jobs of the Yellows. Gosh, this has got to be the sloppiest, and they have nobody else to blame but themselves. But, freaking SC Leonen of PNoy is now trying to confuse and to complicate what is so simple. Now, we have to watch who Enrile will support, but this another nail on the coffin of Mar’s ambition. PNoy will use the same strategy when he will be charged for the death of the SAF44. HE will ask for Bill of Particulars, but he better be careful for Napeñas, Espina, and the other generals will start talking. I think there will be a lot of backstabbing as soon as he steps down. That is the problem with managing via empty slogans. That is what you call Daan Matuwid. Quality management guru Deming said never manage via slogan, empty or otherwise, period. Isa lang po sana ang pakiusap ko sa inyo tama na pag dadaya sa election alam po namin na hawak kayo ng mga coquangco….wag na kayo bumili ng boto mga putang ina nyo…gusto na namin ng pagbabago..pinoy tama na ang pahirap tama na sa mga pangako na hindi naman natutupad…stop na liberal party.